Members of the SIHR gathered in Toronto for the annual fall meeting as the city celebrates the centennial of professional hockey in the city. Those who arrived early on Friday visited the Archives of Ontario on the York University campus and were treated to a presentation on how to conduct research on the organization’s holdings, illustrated with hockey-related searches, followed by a guided tour of the facilities. 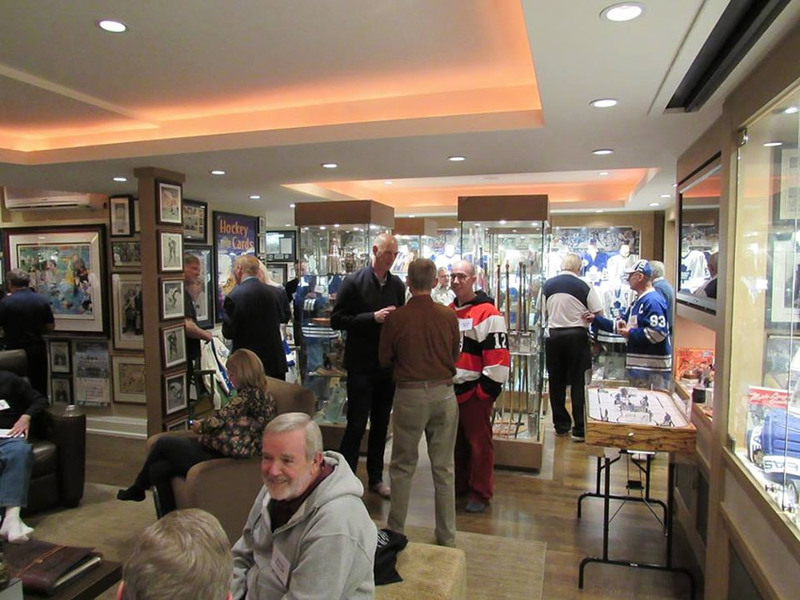 The casual meet-and-greet followed in the evening at the epicentre of Maple Leafs fandom, Mike Wilson's Ultimate Leafs Fan Museum. Many attendees felt as if they had died and gone to heaven as they toured the impressive collection of memorabilia and chatted with the host, who loves to share his passion and has plenty to say about each of the items in the collection. The gentlemanly Red Kelly was also in attendance to the delight of everyone. Saturday morning attendees convened in the Alumni Lounge of the Mattamy Athletic Centre, which overlooks the ice surfaced used by the Ryerson University Rams hockey teams. The facility is the former Maple Leaf Gardens, and was a fitting venue for the event. A cornucopia of member authors were on hand offering their most recent works, which included Kevin Shea - "The Toronto Maple Leaf Hockey Club: Official Centennial Publication, 1917-2017", Todd Denault - "Unbreakable: 50 Goals in 39 Games: Wayne Gretzky and the Story of Hockey's Greatest Record", Leslie Spitz-Edson - "Seeking the Center", Waxy Gregoire and David Dupuis - "The Red Kelly Story", Mike Wilson and Paul Patskou - "Inside the Room", Ken Reid - "One Night Only", Howard Shubert - "Architecture on Ice: A History of the Hockey Arena" and Greg Oliver - "Blue Lines, Goal Lines & Bottom Lines: Hockey Contracts and Historical Documents from the Collection of Allan Stitt". The revised format adopted with the most recent constitutional amendments saw the first iteration of the condensed business meeting, which lasted only thirty minutes. President Jean-Patrice Martel called the meeting to order shortly after 9 and invited meeting co-organizer Kevin Shea to greet everyone and offer opening remarks. The customary roll-call was modified to only have first-time attendees introduce themselves to the group in order to keep the proceedings on time. In his report, President Martel announced that the latest Journal – which was distributed to attendees – marked the end of Kevin Shea's tenure as the editor-in-chief, and that the role would be assumed by Lloyd Davis. The release of this volume has cleared the backlog, and work is already underway for the 2017 edition. Thank you Kevin and Lloyd! Interim Secretary Wayne Geen gave a brief report of the membership numbers, which show slight growth. President Martel delivered the Treasurer's Report on behalf of Iain Fyffe. The report showed that disbursements are tracking their budgeted amounts well, and that because of the delays in producing the Journal annually, three volumes have been published in 2016, one of which was included in the 2015 financial records. He also reported that thanks to the constitutional amendments adopted in May, the Society was now in a position to apply for registration as a charity with the Canada Revenue Agency, which has been done. Before the business meeting was concluded, James Milks said a few words on the preparations for the 2017 AGM in Ottawa-Gatineau being held in conjunction with the Canada 150 celebrations, after which the location of the 2017 fall meeting was announced as being Montreal, to tie in to the 100th anniversary of the NHL's founding in that city. The presentations got underway with Kevin Shea delivering "A Brief History of Toronto Franchises in the NHL". 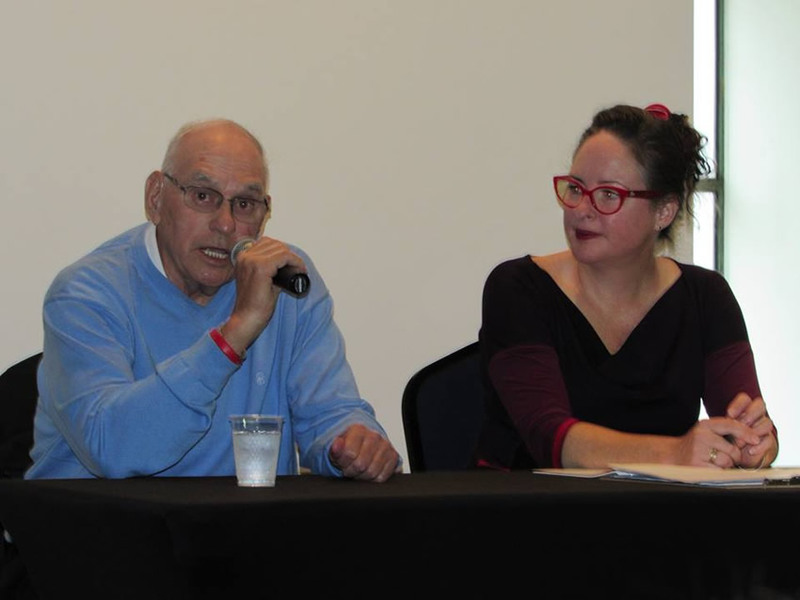 This was followed Liz Pead who interviewed the first guest speaker, Gerry McNamara, former scout and general manager with the Toronto Maple Leafs, who was candid about his time working for former owner Harold Ballard, his plan, the trades, the good and bad drafts and much more. Author Howard Shubert then gave an overview of his book "Architecture on Ice: A History of the Hockey Arena", which reveals the central role they have played in influencing urban, social, and political life across the continent. Todd Denault outlined "Unbreakable: 50 Goals in 39 Games: Wayne Gretzky and the Story of Hockey's Greatest Record", which recounts the unbelievable record set by the legendary player. Following the lunch break, Leafs legends Red Kelly and Ron Ellis were up next, in a segment moderated by Brian McFarlane. The two men talked about the highs and lows of their illustrious careers, and their respect for one-another and friendship off the ice. McFarlane then led a discussion with his former colleague Ralph Mellanby, who was one of hockey's greatest and most well-connected television executives. He recalled his relationship with some of the game's most influential individuals. The charismatic and funny Mellanby had the group stand for the rendition of Oh Canada as it was being played at the Ryerson Rams women's hockey game just outside the meeting room. Richard Scott of Ottawa gave a history of organized women's hockey in North America, and offered hope for the game in his presentation titled "Growth and Stabilization of Women's Hockey". Mike Wilson led a discussion with Pete and Brian Conacher, members of hockey's royal family. The men shared their stories on growing up in the shadow of their fathers, as well as their views on the state of Leafs Nation. One more moderated panel which included video archivist Paul Patskou, former Leafs player Danny Lewicki and Dan Donohue, owner of the puck which Bill Barilko scored with for the Leafs against Montreal during overtime in 1951, was led by kevin Shea. The final presentation was by J. Shayne Randall, grandson of Ken Randall, the first captain of the Toronto NHL franchise, who spoke about his grandfather's career. 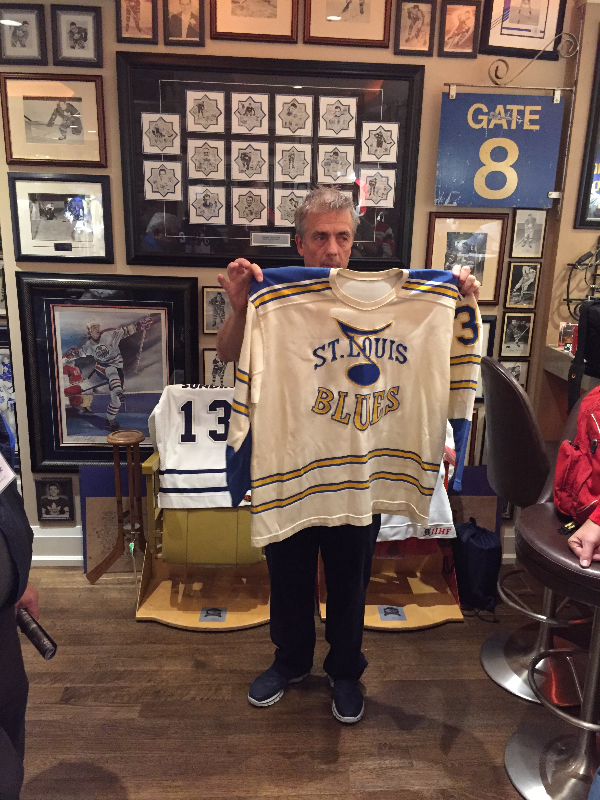 He also had on hand an authentic first-season sweater of the New York Americans. Following the meeting members gathered at The Bottom Line for a group dinner and a few took part in the traditional after-party hosted by Steve "T'irteen" Leblanc.